Oh my, this restaurant has stolen my heart. Nestled in a cozy old house, with a hearty, warming menu, Kindred serves delightful food in style. 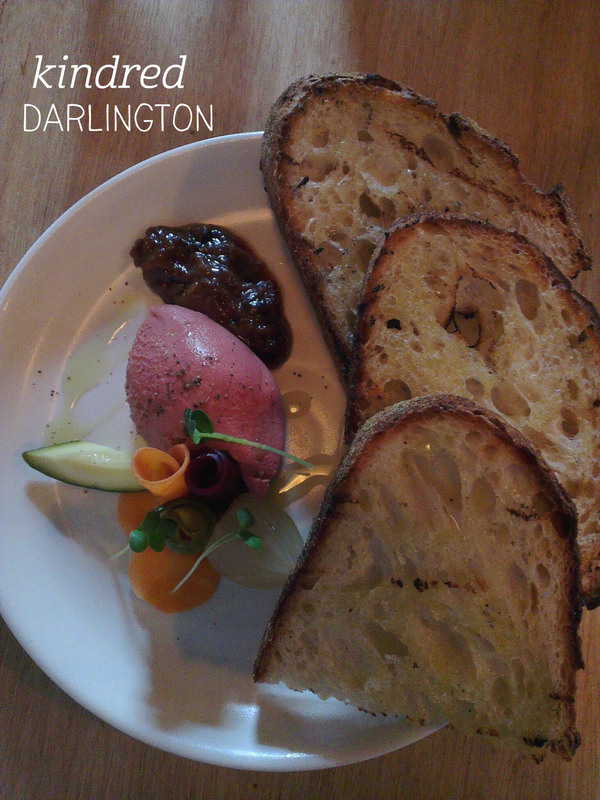 I started with the chicken liver parfait, served with sourdough, apricot chutney and pickled vegetables ($16). The parfait was utter perfection – silky smooth and well-balanced in flavour, it was also light, fluffy and easy to spread. The sourdough was the thickest, tastiest I’ve ever had, drizzled in a little olive oil and lightly toasted, it was the perfect accompaniment. The pickled veggies added a nice, vinegary tartness to the dish, counterbalanced by the sweetness of the chutney. Perfect. 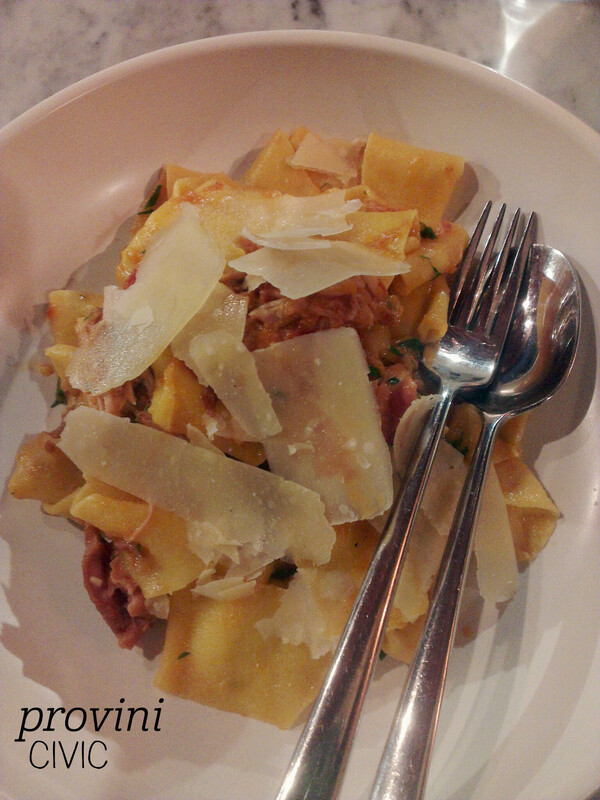 For the main, I chose the pappardelle with lamb ragu and green olives ($26). 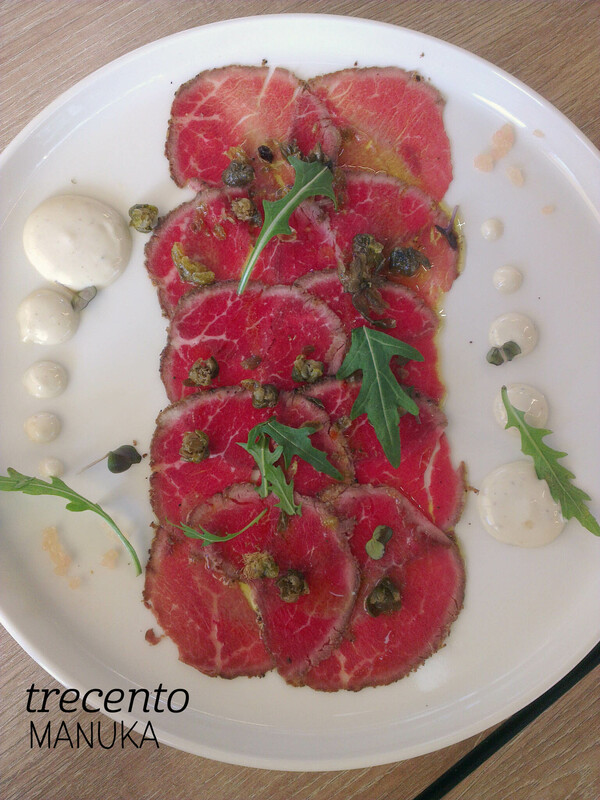 The dish was so beautiful, although after a couple of mouthfuls I realised there were no olives! The staff hastily fixed this, and the dish was brought up to perfection. The pasta was thick, house-made and silky, and the ragu clung to it well. The lamb melted in your mouth, and I want to know whatever mix of herbs they use! The portion size was just right, and I found myself wishing I lived around the corner to be able to dine here more often. Definitely a new favourite. Chez Frederic has been getting a lot of my business lately – I’d forgotten how amazing it is, and this is no more evident than in my new favourite dish – the Aglio e olio ($12), one of the simplest, but most delicious, pasta dishes I’ve had in Canberra. There’s not too much to write here – this dish is authentic in its simplicity, with extra virgin olive oil, parsley, garlic and chilli, plus your choice of pasta, but somehow these ingredients come together in an explosion of flavour that takes me back to Italy. The pasta was cooked al dente, and the portion was huge – although I was greedy and ate most of it! There is a lot of oil, which makes the pasta nice and glossy, and the kick of chilli is lovely at the back of the throat. I can’t believe that so much flavour is extracted simply from parsley and olive oil, but there’s nothing else there to do it. Magic. I also treated myself to a side of garlic bread ($3.5), which was super garlicky and very, very yummy (useful to balance the chilli too). I’ll be back for this again soon. My love for The Potting Shed knowns no bounds. I mean, where else can you be beautifully surrounded by plants, hang out with a macaw AND get great food? Seriously, if you know somewhere else, I’m there. 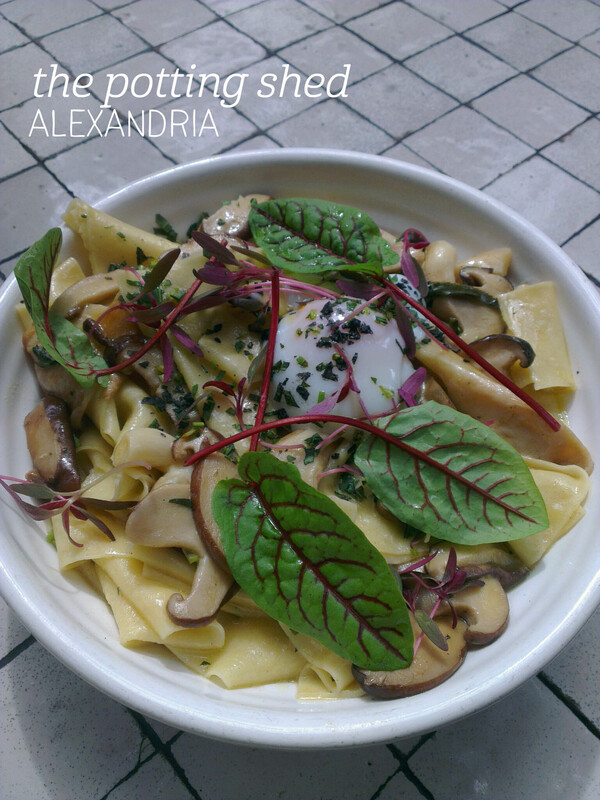 Anyway, my parents and I stopped in after I got back from South America, and I ventured away from burgers and sandwiches, and ordered the Wild Mushroom Pappardelle ($28), with a soft-boiled egg and burnt butter. 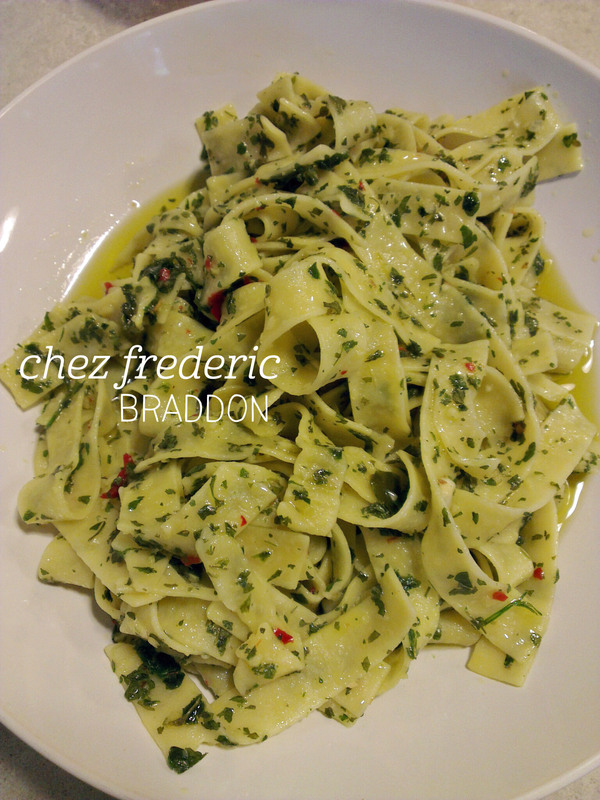 Firstly, this dish is so pretty it should have its own fan club. With tonnes of mushrooms (including several different varieties, like oyster, Swiss brown and enoki) and silky, slithery pasta, the luxury of an egg only upped the already excellent flavour game. The portion was a great size for lunch, although my jet-lagged stomach struggled to finish it, despite my best efforts. I also enjoyed a fresh juice with orange, pineapple and passionfruit – it was large, tasty and had fresh strawberries inside too (bonus). I’m planning to come back for this dish again when I have more stomach space. And to see the macaw, obviously. I met a friend for dinner at Molto Italian, where we were warmly greeted and seated at the bar. 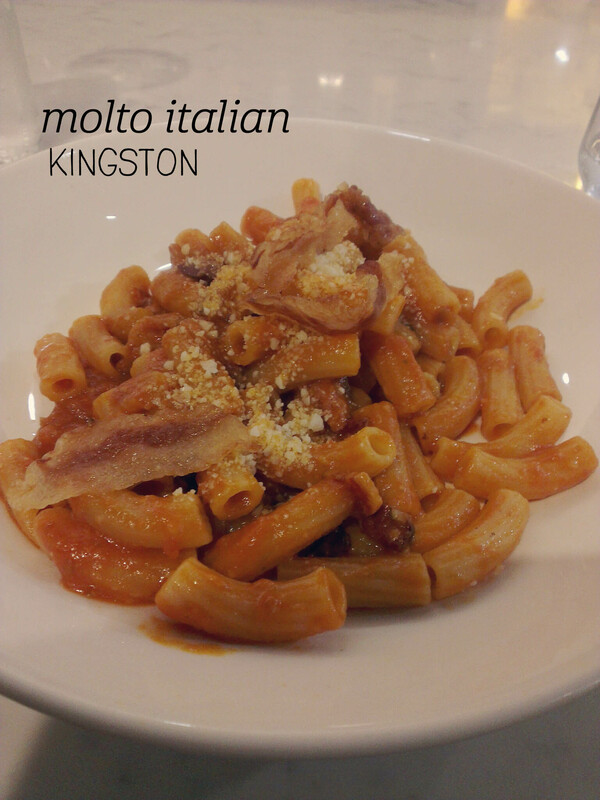 I’d already scanned the menu and picked what I wanted to try – the Maccheroni Matriciana ($28), with cured pork cheek, slow cooked tomato ragu and pecorino romano. Matriciana is one of my favourite dishes – I make it at home a lot – but this was a whole other level of sophistication. The ragu was just enough to coat the pasta, with a little extra for mopping up, and wasn’t too rich. I loved the crisp pieces of cured pork cheek, which added a great meaty flavour, as well as a kick of saltiness, to the meal. 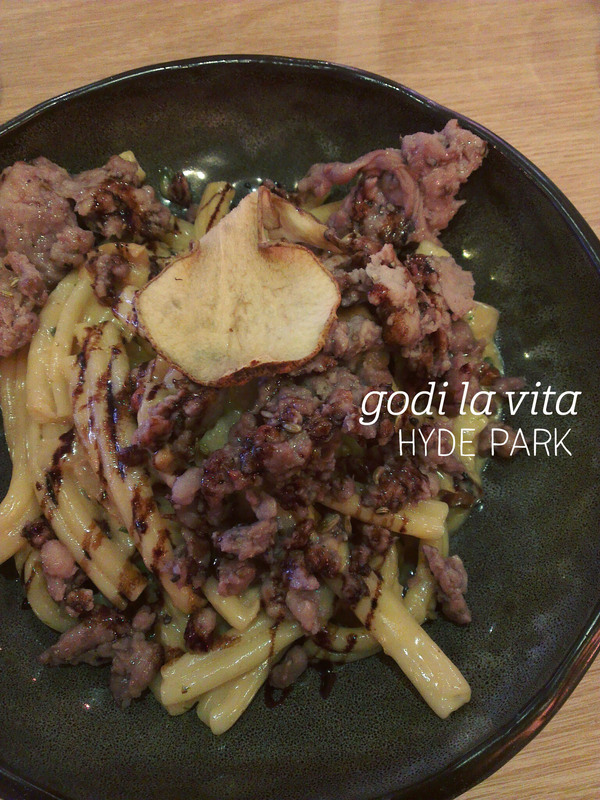 The combination of the sauce and pork took me right back to northern Italy. The pasta was cooked as al dente as it comes, which I found utterly delightful. I was worried that the portion would be too much – it’s huge, so definitely great value – but I finished it easily and didn’t get that ‘oh I’ve eaten too much pasta’ stomach-heaviness that lower quality pasta can induce. Sadly I didn’t have room for dessert, but I will certainly be back for more authentic, top notch Italian very soon.